Legend has it, when the Ganga was requested to descend to earth to help suffering humanity, the earth was unable to withstand the force of its descent. Therefore the might Ganga was split into 12 holy channels. Alaknanda was one of them that later became the abode of Lord Vishnu or Badrinath. 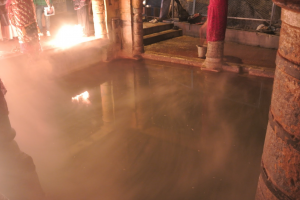 Pilgrims take a ritual bath in the hot sulphur springs of Tapt Kund. The temple of Shri Badrinathji on the banks of the Alaknanda River dates back to vedic times. Situated at an altitude of 3,133 mts., the present temple is believed to have been built by Adi Guru Shankaracharya – an 8th century Philosopher saint, who also established a math here. 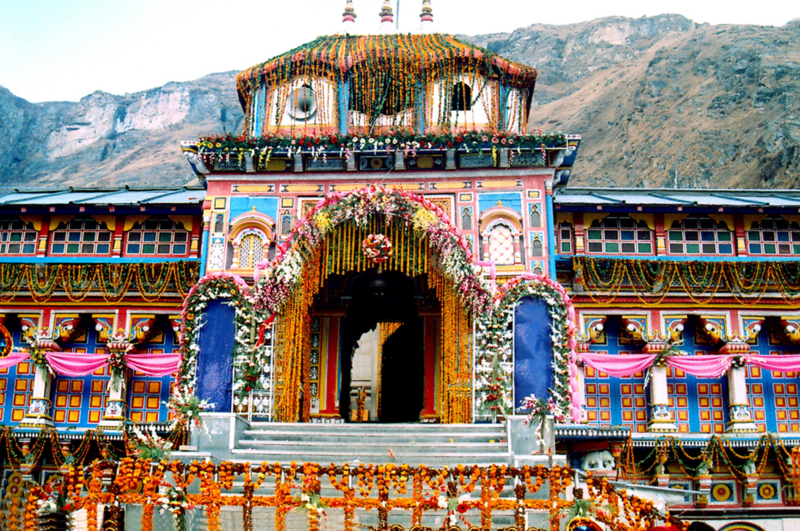 Also known as ‘Vishal Badri’, Badrinath is one of the Panch Badris. The temple remains closed during the winter season and is open from April – May to October – November. Season: From opening to closing, generally from April to November. Clothing: April-May and Oct- Nov: Heavy Woolens, June-Sept: Light Woolens. Route 1 : Delhi-Rishikesh : 287kms. by rail, Rishikesh-Badrinath 297kms. Route 2 : Delhi-Kotdwar : 300kms. by rail, Kotdwar-Badrinath 327kms. by road.